Under general supervision of the Migration Program Manager or an Officer, the successful candidate will support the delivery of Immigration, Refugees, and Citizenship Canada programs through the provision of services to office operations by providing information and assistance to internal and external clients, applying a developed knowledge of established guidelines, entering and validating information in departmental on-line systems, reviewing applications and documents to ensure the completeness of applications, and conducting research to support information gathering for the processing of applications. Essential qualifications:Candidates will initially be screened against the Essential Qualifications relating to education, experience and language. Candidates must clearly demonstrate in their cover letter and CV how they meet each of these essential qualifications. • A working knowledge of local languages in Burundi, Comoros, Rwanda, Seychelles, Tanzania, Uganda, or Zambia. • Work experience of at least 6 months within the last 3 years with an international organization, embassy or high commission in Tanzania or with a Canadian company or organization. • Tanzanian citizenship, holder of a valid Tanzanian work permit or otherwise legally able to work at the High Commission (please note the High Commission of Canada in in Tanzania does not sponsor work authorizations directly or indirectly). • Before an offer of employment can be made, candidates must provide a local address as proof of residence in the specific city, region or country so that if selected, it will appear on the offer letter. 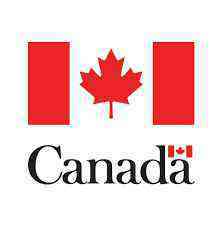 • Obtain and maintain a reliability rating (security clearance) from the Government of Canada covering the entire employment period. This includes a criminal and credit background check. • Please follow the link http://wfca-tpce.com/vacancyView.php?requirementId=3002& and complete the online application form.